When it comes to home insulation, one of the first areas that come to mind is the attic. Do you know why attic insulation is important? Buildings have a natural airflow that draws inside air up and out. Adding insulation and sealing air leaks in an attic helps keep air that has already been heated inside your home, keeping your HVAC system from running unnecessarily and helping keep energy bills in line. Good: Adding blown-in fiberglass insulation. Adding blown-in fiberglass insulation to an existing attic increases R-value by adding a fresh blanket of insulating protection to your home. This is a basic method of upgrading attic insulation and a cost-effective option. Better: Adding insulation and sealing air leaks. Sealing air leaks and upgrading insulation dramatically improves home energy efficiency. In an existing home, attic insulation is removed and penetration points around the attic floor are sealed. After air sealing is complete, a fresh blanket of blown-in fiberglass insulation is installed. In a new home, penetration points around the attic floor are sealed before insulation is installed. Best: Insulating with spray foam. 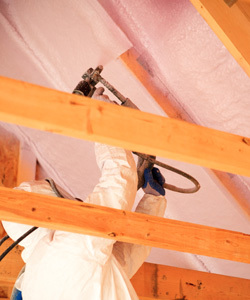 Spray foam insulation can be installed in an existing attic or the attic of a new home for optimal energy protection. Insulation is removed from the attic of an existing home and spray foam is installed along the roofline. This creates a thermal barrier along the attic ceiling to allow for storage along the attic floor. Spray foam insulation can be installed along the roofline of a new home as part of the construction process. Adding insulation to your attic is one of the most cost-effective ways to save money on your energy bills each month. Are you wondering which insulation method is right for your home? Contact us to talk with one of our estimators. Homes built on crawl spaces face unique challenges. If your home is built on a crawl space, you know firsthand the problems a crawl space can cause. Crawl spaces become naturally moist and are ideal living spaces for pests. A damp crawl space can cause odor inside the home and also compromise the structure of your home. These problems can be reduced by insulating and sealing your crawl space. Sealing your crawl space can also improve your home’s comfort, help reduce your energy bills and improve the quality of air inside your home. There are penetration points in the ceiling of your crawl space that connect directly to the main floor of your home. These penetration points are a natural part of the construction process and exist around wiring, plumbing holes and more. As your home breathes, damp air from your crawl space flows into your home’s living space. This brings the damp, polluted air directly into your home and the air your family breathes. Air sealing and insulating your crawl space can help improve air quality inside your home. Your home’s natural airflow draws damp, cool air from your crawl space into your home. This air then has to be heated to your comfort level, requiring additional effort for your HVAC system – and additional energy use. Sealing your crawl space can help keep energy bills in line and help your HVAC system maintain a longer life. An unfinished crawl space affects your home’s everyday comfort. Are your floors cool during the winter months? Is your main living area cooler than the upper level of your home? Sealing and insulating your crawl space can help moderate the temperature in your crawl space and keep cool air away from your floors. Crawl space problems don’t go away, but they can be corrected! Don’t let another season go by with a damp crawl space. 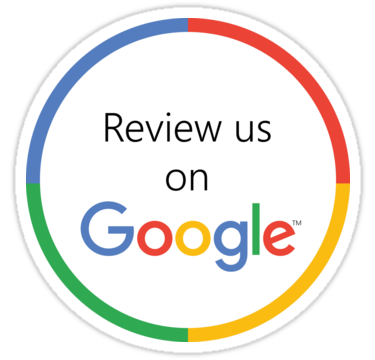 Contact our office with your crawl space questions or to schedule a free crawl space estimate.